There are many challenges that teenagers face, and sometimes the pressures can be overwhelming. Many times, teens do not know how to deal with the adversity in their lives, and it begins to affect their emotional well-being. 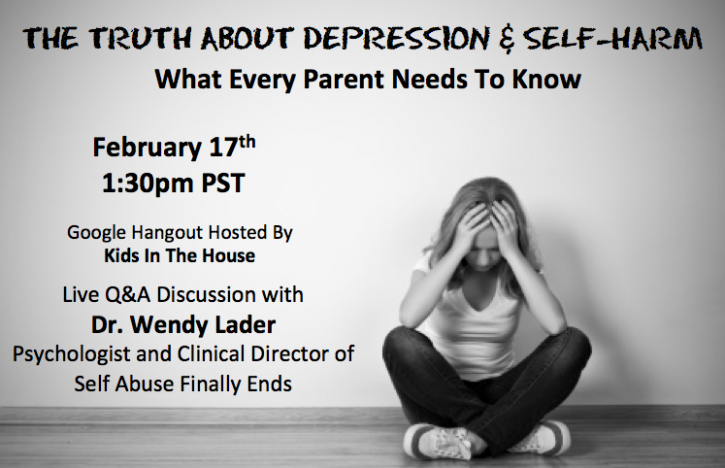 How can parents make the distinction between normal adolescent moodiness and clinical depression? And even more importantly, what can parents do to help? ave your child talk to a professional. will last longer and it will interfere with normal life and routines. Unlike sadness, depression does not go away after time. ildren about the early warning signs. Teenagers who are aware of the possibility of depression can manage it more easily, which makes it easier to accept and acknowledge. Some instances that have been linked to depression in adolescents are disruptions in early life, such as the loss of a parent or an unstable home life. Children who go through traumatic events as young children sometimes deal with depression later in life, because they hold their emotions in and avoid dealing with them until they cannot ignore them any longer. The added stresses of adolescence can sometimes bring out these emotions and force the child to relive them all over again. Fassler says that when a child grows up without consistency and stability, he is more likely to experience depression as a teenager or young adult. ons do not let up, and they seem to become worse with time, you should get help from a professional. Normal sadness should not interfere with your child’s life and keep him from doing the things he enjoys. Often times, teenagers do not have the vocabulary to explain what they are feeling, so it’s up to you to get them the help they need.